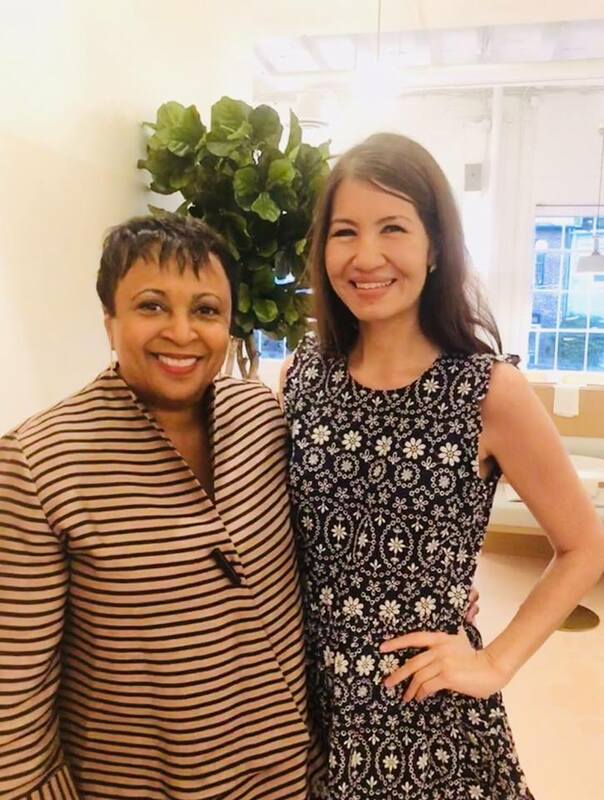 Getting lit(erary) with the Librarian of Congress, Dr. Carla Hayden! Dr. Hayden's energy is amazing. She is strong, kind, compassionate, idealistic as well as realistic, dedicated to service, witty, a great storyteller, and much more. Sitting with her and listening to her speak of the fascinations within our national treasure chest felt similar to that of a kindergartener's experience during story time. I was completely enthralled by her presence and clinging on to her informative talk about what valuables lay within the walls of the Library of Congress. Dr. Hayden makes you feel as if you are an entrusted friend, just hanging out with her on a beautiful day, telling you about her favorite books (at different times in her life). Not only will you find 838 miles of bookshelves there, you'll also find amazements like Rosa Parks' hand-written papers, the handwritten Giant Bible of Mainz, a preserved piece of Tom Thumb's wedding cake, Amelia Earhart's hand imprint, Thomas Jefferson's hair, James Madison's hair, and more is coming! Approximately 15K items are acquired daily. It was an absolute honor to be in her presence, and to hear her stories about all the treasures within the USLC! What a momentous evening!